MRIs and CT Scans are commonly brought up when discussing medical diagnostic tools that are used in personal injury cases. However, these diagnostic tools and their uses can be confusing and are often misunderstood by many clients and patients. 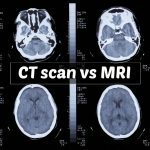 The confusion arises because MRI machines and CT scanners are both used for medical imaging, and many people use the terms interchangeably. They both “see” underneath a person’s skin and into your body to help your doctor visualize what is actually going on with the physical structures within a person’s body. In personal injury cases, these tools are often used to try to determine what is causing your pain. Yet these machines work in different ways and each utilizes a different technology. They are also used for diagnosing different types of conditions. Obviously, as with all diagnostic tools, there are pros and cons associated with the use of each. This article will attempt to help those individuals who are involved in a personal injury case to understand the machines, the technology involved with what MRIs and CT scans actually are, plus how they work and how they differ. A CT scan is often referred to as a CAT scan. It stands for Computerized Axial Tomography. A CT scanner uses x-rays to produce an image of the body. When x-rays pass through the body, dense objects such as bone, will block the radiation and thus it appears as white on the black x-ray film. Less dense tissue will appear gray and can be more difficult to see on the film. A CT scanner will take many x-rays and feed the information into a computer. The computer will take the data and create a high quality 360 degree image. Because it utilizes x-rays, the CT scanner is generally used for generating images of the body’s bony structures, such as the spine and bones of the arms, hand, legs, feet, shoulders and head. CT scans can also be used to take images of internal organs. The individual x-rays used to form a CT scan image can generate approximately 1,000 individual measurements every second. The end result is a clear and precise image of the injured area of the patient’s body. MRI machines work very differently. An MRI (also known as Magnetic Resonance Imaging) uses both magnetic field and radio waves to produce a detailed picture of a patient’s soft tissue. No x-rays are used and thus there is no radiation involved with an MRI. The MRI machine uses a very powerful magnet and sends out pulsing radio waves that affect the water molecules present in the soft tissue of the body. The MRI scanner contains special detection coils that measure the energy produced by the water molecules as they move or realign after each “pulse” of radio waves is sent through the injured area. The data is sent to a computer which is then compiled into an image. The resulting image can be manipulated by the radiologist to allow him or her to see cross sections or “slices” of the body part being scanned. Both technologies play a role in medical imaging and come with certain advantages and disadvantages that can make one preferable over the other in certain situations. CT scans are far better than MRI’s for the imaging of a person’s bones and skeletal structures. CT scans are used to see if there are fractures or other types of damage to the bones. Because the CT creates a cross section image, it’s easier to see when there are overlapping structures such as with facial bones or with the spine. MRIs are generally not useful for imaging bony structures because the bones lack the water content required for MRI technology to produce a useful image. Often times a bone on an MRI scan will be seen as a “black” area on the image. Conversely, MRI scanners are preferred when it comes to the imaging of soft tissue in humans such as organs, discs, muscles, tendons, ligaments and nerves. MRIs give wonderful images of these soft tissues to allow the physician to see what is going on and what, if any, injury is causing pain. Therefore, CT scans will be used to determine if there is an injury to the bony structures of the body, including the spine and its vertebrae, facial and skull bones, etc. A MRI scan will be used to see if there are injuries to the disc located in the spine, ligaments, tendons, muscles and other soft tissues. So both tools have diagnostic purposes and your doctor may order one or the other, or both, depending on your pain complaints. A CT scan is usually cheaper than a MRI. For personal injury patients, both are covered by automobile insurance. Both are also usually covered by health insurance. OF course how much you are charged will depend on many different factors. In one example the exact same CT scan at a facility varied in price from a low of $900 to a high of over $3,000. This variance in pricing is also typical of MRI’s, with fluctuations seen from just under $500 to over $3,000 for the same procedure. Patients may have difficulty undergoing an MRI because of claustrophobia. The patient area of an MRI machine is usually somewhat confined. But the confined area is needed in order to get the best possible image. And MRI machines are known for the different noises they make. Most modern MRI centers now offer headphones to play music and some even offer TV screens that you can see while in the scanner. A common MRI scan can take 25 to 45 minutes but that depends on the strength of the MRI scanner. CAT scans can be completed in a shorter period of time, depending on what body part is being imaged. Most MRI centers can give you some mild medication, such as Valium, to help you undergo the scan. However, if you require this, you will need to have someone drive you home as the center will not allow you to drive after taking such medication. If you do not need medication to undergo the scan, you can driver yourself home. Not all MRI machines are created equally. MRI machines have different strengths. The stronger the machine, the better the image. MRI strength is determined by its Tesla number. The strongest machine on the market today is a 3.0Tesla (or 3T as commonly known). The 3T scanner gives the best possible image available today. Older machines can be 1.5T machines. While these images can be quality images, the 3T image is preferred. You may have heard the term OPEN MRI for persons who are claustrophobic. There is a huge problem with this Open MRI machines. The magnet strength is often as low as .3T or .5T. Note that there is a decimal point in front of the number. These machines normally produce terrible images. They should be provided if at all possible. Also, a high quality MRI center will be accredited by the American College of Radiology. The ACR will certify the scanner as well as the computer software is properly calibrated to give the best possible image. There are MRI centers that are not accredited or have had their accreditation lapse. Most quality centers will not allow this to happen. Be sure to confirm that center you have been referred to is fully and currently accredited. Additionally, certain types of patients are restricted from getting MRI procedures. These include individuals who have heart monitors or pace-makers, or those patients that have metal in their body such as from a joint replacement or spine implant from fusion surgery. The metal can create image distortion in certain conditions. In such situations, CT scans may be ordered. In order to get an optimal image with a CT scan, sometimes contrast needs to be used. You may have heard your doctor say you need a CT scan with contrast. This means that you will be injected with a contrast agent to allow the area in the body to be seen more clearly in the image. Most contrast agents contain either Iodine or barium. The technician will ask you before the scan if you have any known reactions to the contrast material recommended by the doctor. MRIs typically use Gadolinium as the contrast agent. Although there is very little risk of an allergic reaction, there is a risk to patients that have a history of kidney or liver disorders. So as you can see, both CT and MRI may play a vital role in your personal injury case. If you are given a referral to one or the other by your treating doctor, you should comply with his orders. If you have any questions about what the doctor has ordered, you should discuss the recommendation with your personal injury attorneys. At the Law Office of Mark A. Risi we pride ourselves in providing quality and aggressive legal representation on behalf of our clients. We take pride in providing personal service to each and every client in all personal injury cases and areas of practice in Orlando, Central Florida and throughout the state of Florida. For an absolutely free consultation with no risk or obligation, please feel free to call us at (407) 629-2484 or contact us online and we will answer any questions that you may have. We would be honored to work for you to obtain the best settlement possible.